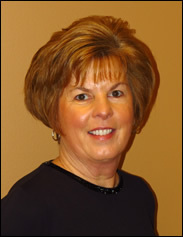 Susie is thrilled to be part of the Houska Dental team! Thirty years of experience in dental hygiene have given Susie a wealth of knowledge that she loves to share in interactive discussions with patients. Susie’s energy and enthusiasm are contagious and help patients to feel comfortable asking questions about their condition or treatment. “Our goal is to help patients feel well and be well. We are here to help, whether it’s been six months or six years since your last cleaning.” This empathy helps Susie to deliver the highest standard of care to our patients utilizing expertise and relevant technologies to ensure their comfort and health.